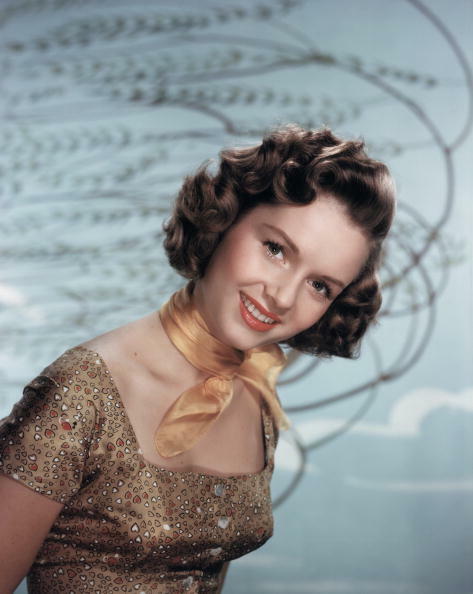 When I first heard that Debbie Reynolds had died just one day after her daughter, Carrie Fisher, my mom was the first person I thought of. I was eleven years old when I encountered my first “Big Death.” Before that, it had been a great grandparent who lived in Florida and who I’d only met once, and I hadn’t even attended the funeral. On my eleventh birthday, my mom was walking me to school when she got an alarming phone call — something was very, very wrong with her younger sister, Jackie. 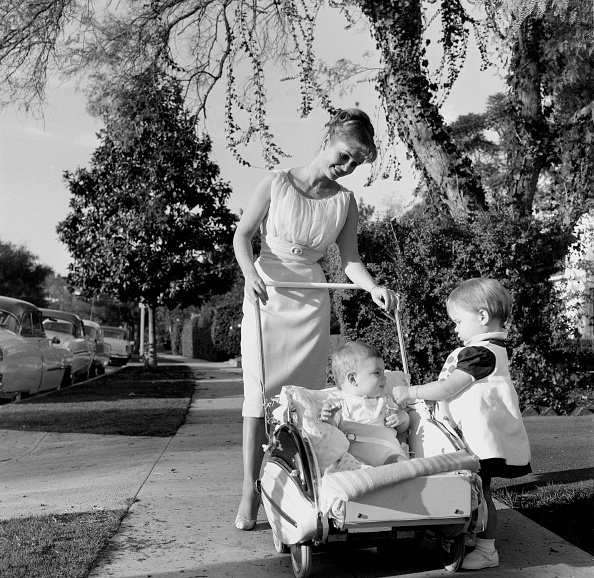 Jackie only lived about twenty minutes from us, so my mom finished walking me to school and hurriedly rushed to help the family. By the time I got home from school that day, Jackie had died. Unlike my mom and I, Jackie and I were never close. In my 11-year-old opinion, Jackie was someone who stood in the way of my relationship with my mom. The two were close in age, and spent time together multiple times a week — and for some reason, this made me extremely jealous. As adults who were both sexual assault survivors dealing with mental health issues, my mom and Jackie understood each other in ways that I didn’t understand my mom. And my mom was my entire world; as an only child, I had no idea what it was like to forge that kind of lifelong bond with a sister. After Jackie died, my mom fell apart. I didn’t understand it at the time, but Jackie was someone who wholeheartedly believed my mom was a survivor. She was someone who my mom trusted with the most private parts of herself. After Jackie died, my mom spent most of her free time writing letters to her late sister, and she told me once that she’d go to call Jackie to tell her something — good news, bad news — and then realize that she couldn’t. When I started to feel guilty about my complicated, unfriendly relationship with Jackie after she passed, it was my mom who helped me talk to her out loud and make peace with the situation. Watching my mom grieve was my first close look at the grieving process: The crying, the anger, the letters written to nobody, the sadness of holidays and milestones spent apart. It was something I never wanted to experience. And then, with a shocking suddenness, my mom died, just five months after her sister Jackie. I didn’t understand it. My mom hadn’t been sick. One morning, she took me to eat lunch and then had an unexpected seizure. She was rushed to the hospital, where she died overnight. It was as if she couldn’t be without Jackie, and her grief took her to be with her sister. All the platitudes my mom had given me about death, all my watching her navigate the grieving process — now I was trying it on for size. I’d pick up the phone to call my mom and realize that I couldn’t. I’d listen to old voicemails she’d left to lull me to sleep. I’d start crying when I found one of my mom’s Stephen King novels as I was packing up our things to move. The worst part was the way that relationships change as we grieve. My grandmother — the mother to Jackie and my mom — had been struggling with drug and alcohol addiction for a while before they passed, but everything worsened after she lost her youngest daughters. She and my grandfather, a loving Italian man who’d always sung, “We’re home!” as we entered the driveway, finally split up for good, although they still came to the holidays together most of the time. She lost her house, a beautiful two-story with a backyard that connected to the public library, not long after. I didn’t understand any of this while it was happening. As much as I missed my mom, I didn’t get that Nannie was grieving not only because she’d lost two of her children, but because of the misgivings they’d had over the years — fights about auntie Jackie’s bipolar disorder, my grandmother’s refusal to believe that my mom was a sexual abuse survivor, my mom and aunt’s fights about my grandmother’s sobriety and relationship with my grandfather. A few years after my mom and Jackie died, my grandmother, who was sixty-nine, passed away. At the time, I remember thinking that I wasn’t surprised. It was as if a part of her had been dying from the moment one of her children did. By the time she died, our relationship had completely changed from the one we had when I was growing up. It was like I’d lost her long before she died, and her death was a formality, a way to make the separation official. As I grew older and learned more about my mom and Jackie’s relationship, I started to hate my grandmother for the things she didn’t do — she didn’t believe my mom about her sexual abuse and assaults, she didn’t get Jackie help for her mental health issues, she didn’t help my mom with her PTSD, she didn’t even reach out to me after my mom died. In high school, I became a sexual assault survivor like my mom, and I never missed her more — or resented my grandmother more because my mom hadn’t felt validated. The grieving process is usually a very solitary one. Although I shared the loss of my mom with everyone else who knew her, nobody else knew her the way I, her own daughter, did. No one else was present in our intimate moments; in the times we put on our record player and danced to Elvis songs, in the times I warmed my hands on her stomach in the winter, in the times we cuddled on the sofa with our tabby Sabrina between us. 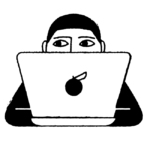 I grieved her in the way she grieved her sister: In the spaces in my life where I believed she should be, like out in the crowd at my college graduation, or when I needed her to rub my back after a particularly bad sexual assault nightmare. Celebrity deaths are different from personal deaths because the grieving process is so collective, so public. 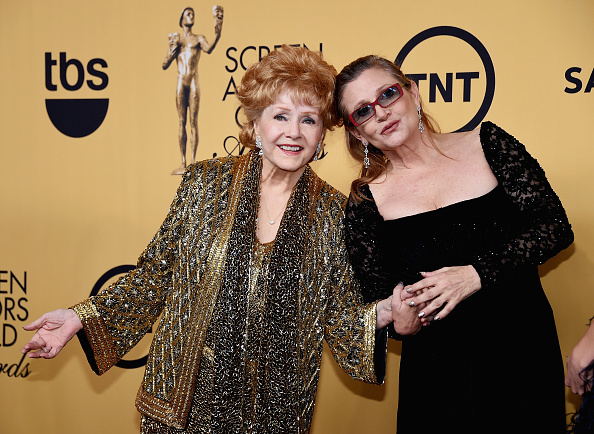 Fans share stories about Carrie Fisher and Debbie Reynolds, but most of them never met their idols or knew them intimately. The loss is more tied to who we are — and what these celebrities represented to us — than they are to any kind of deep relationship with them. 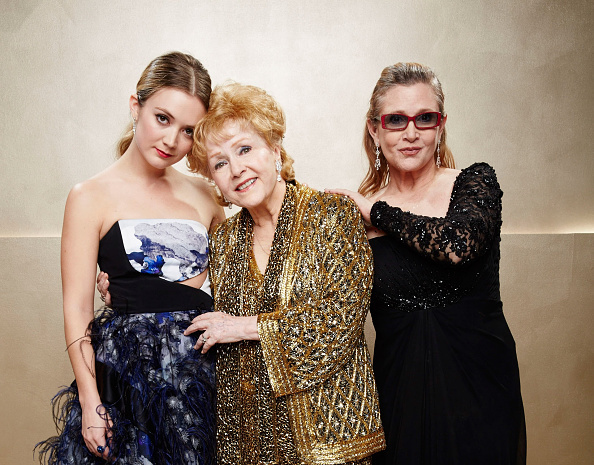 When I miss Carrie Fisher, I miss a woman who openly spoke about mental health and addiction in a way that I wish my mom, auntie Jackie, and my grandmother could have understood. 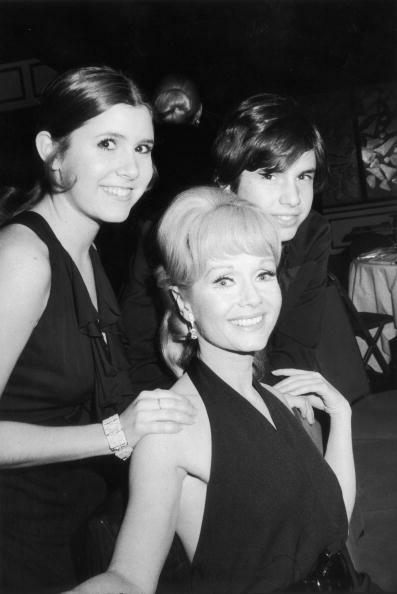 When I mourn Carrie and Debbie’s loss, I’m mourning the fact that my mom didn’t live until she was 84-years old, and she won’t be around when I’m 60. I’m mourning the fact that my mom will never meet her grandchildren. I’ve asked the universe if we could go together, almost in the way my mom and Jackie did, and in the way that Carrie and Debbie did. Because when we grieve, it is both a private and a collective process, and we miss the things that person taught us about ourselves almost as much as we miss them.